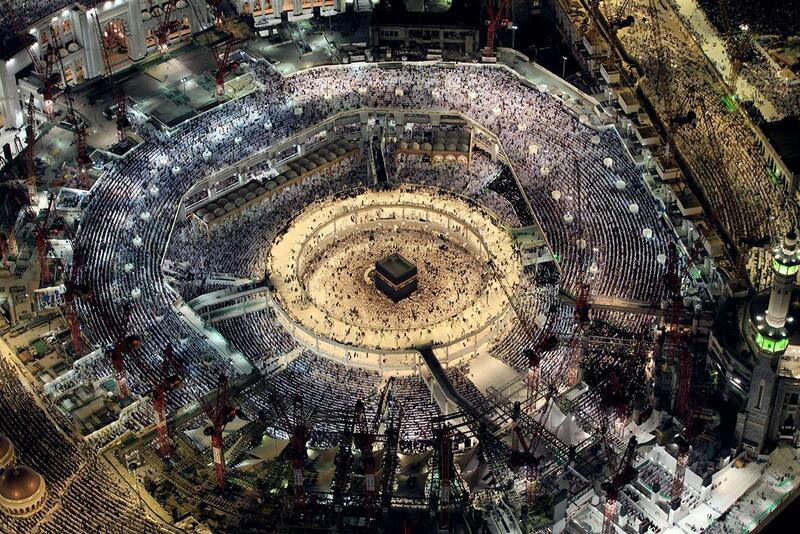 Ramadan, Iran, Mecca, and more of this week’s best photos. Muslim worshipers pray at the Grand Mosque in Mecca, Saudi Arabia, on July 16, 2015, a day before the end of Ramadan. 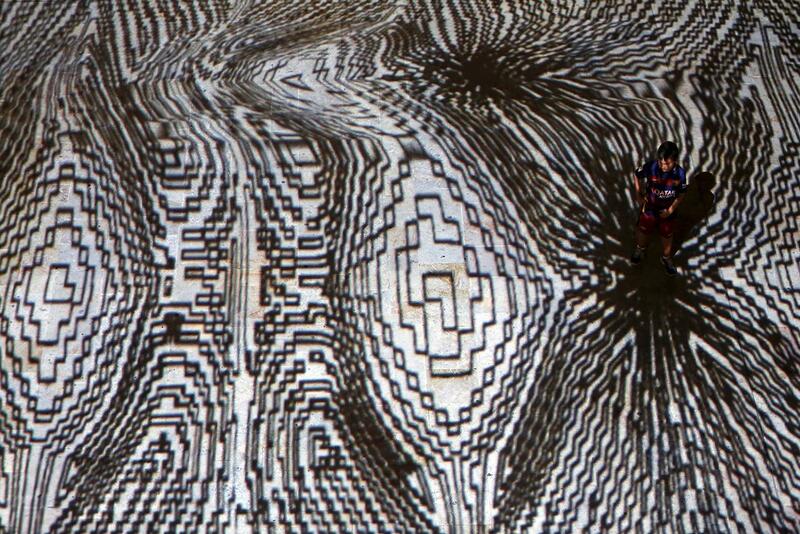 A child plays at Pixels Wave 2015, a giant carpet of moving lights on the ground in an interactive virtual reality installation by Mexican-born artist Miguel Chevalier, during the Malta International Arts Festival on July 13, 2015. A woman practices ice climbing on July 14, 2015, near Gletsch, Switzerland. 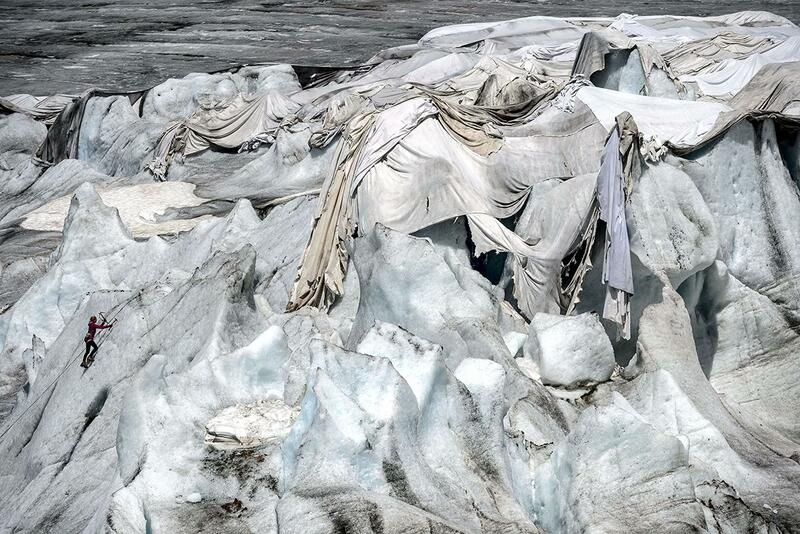 Insulating foam wraps up the Rhone Glacier, which has been shrinking under the summer sun. 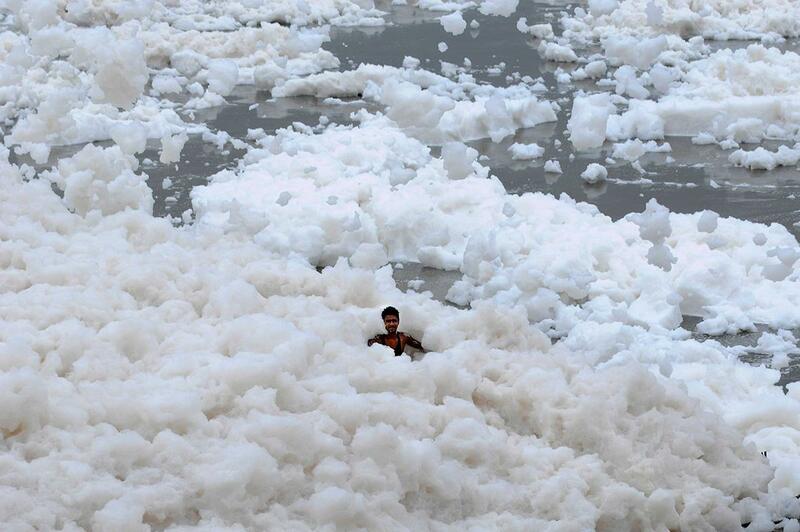 A man wades in a large amount of foam formed at the banks of the Yamuna River on July 12, 2015, in Noida, India. Due to high ammonia levels from industrial pollutants, the river’s water is not suitable for bathing in most places and can no longer support aquatic life. 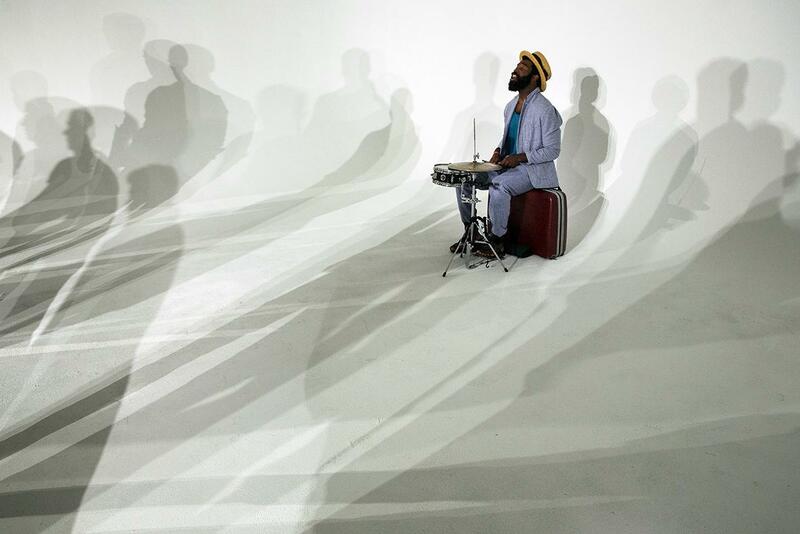 A drummer performs among the shadows of models at the Cadet presentation during Men’s Fashion Week in New York on July 13, 2015. 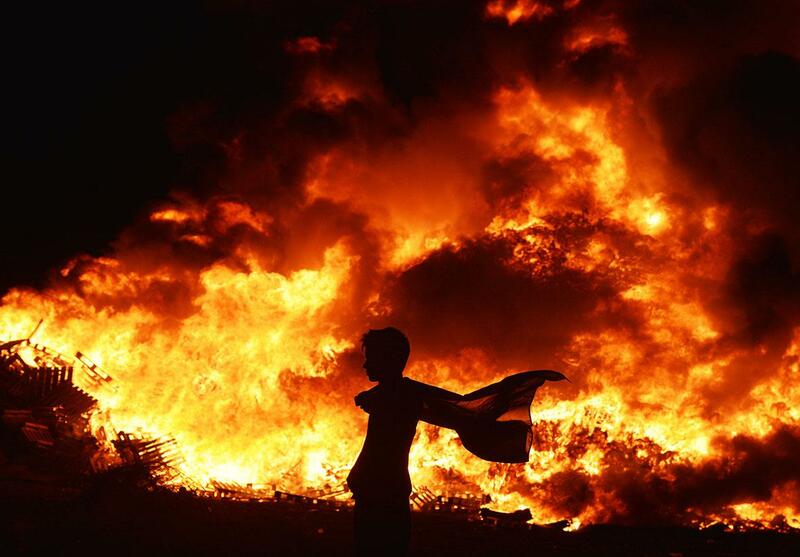 A Loyalist boy carrying the Union Jack flag walks past an Eleventh Night bonfire on July 12, 2015, in Belfast, Northern Ireland. 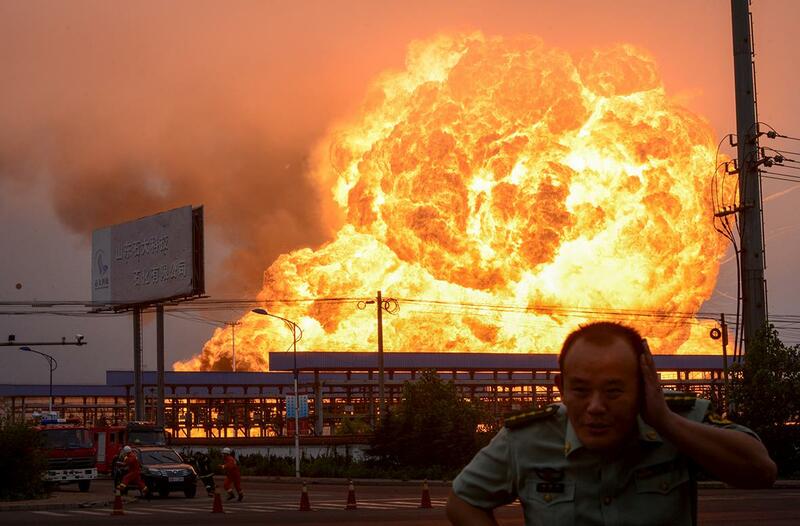 A petrochemical plant burns after an explosion in Rizhao, China, on July 16, 2015. According to Xinhua News Agency, the explosion was caused by a liquefied hydrocarbon leak at the plant. 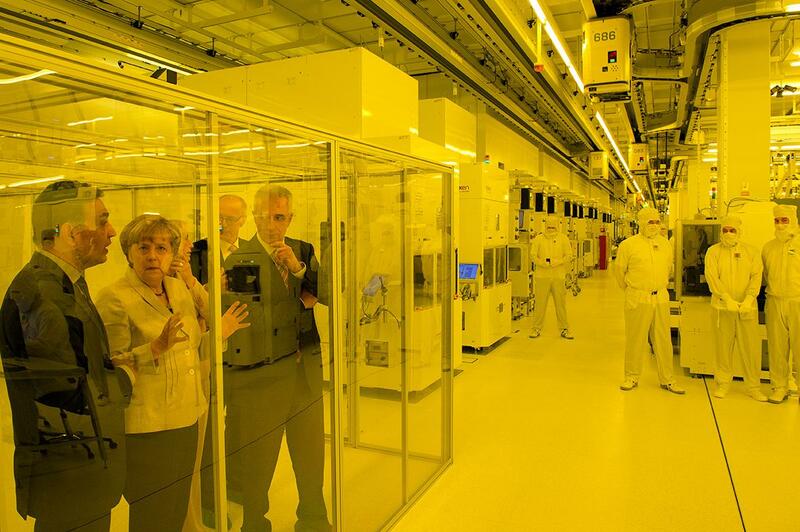 German Chancellor Angela Merkel visits Infineon Technologies in Dresden, Germany, on July 14, 2015. 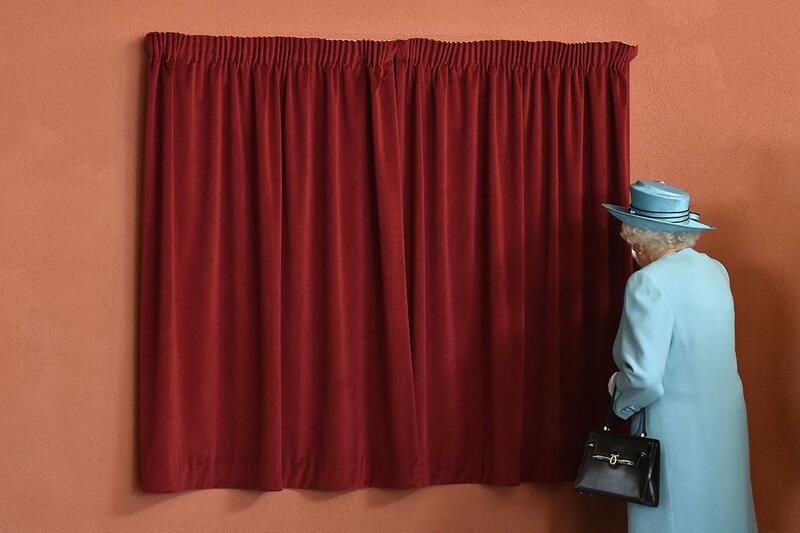 Britain’s Queen Elizabeth prepares to unveil a plaque during a tour of Sydney Russell School in London on July 16, 2015. 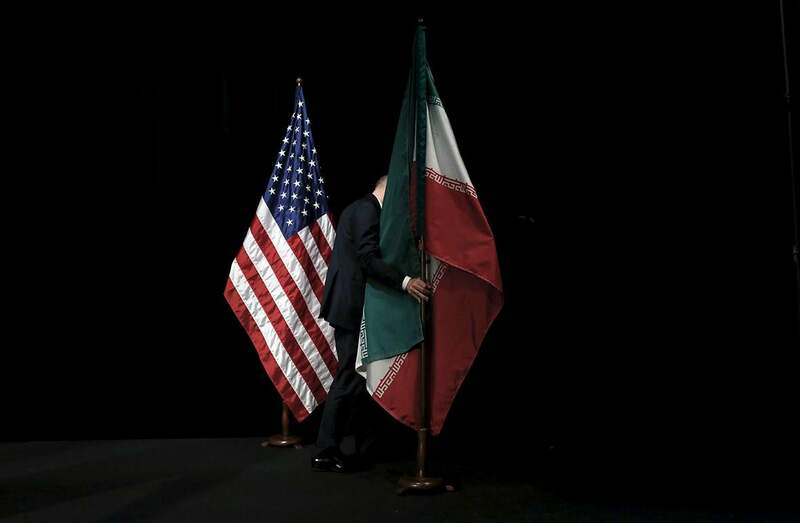 A man removes the Iranian flag from the stage after a group picture with foreign ministers and representatives during the Iran nuclear talks in Vienna on July 14, 2015. 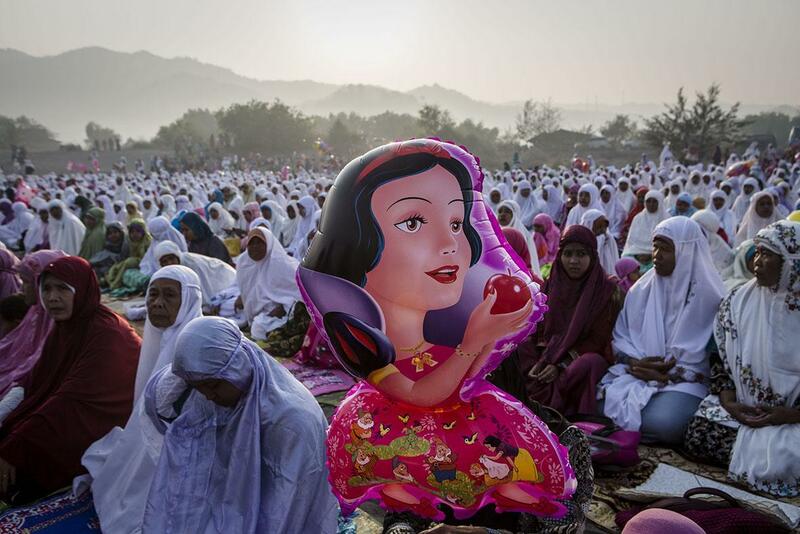 Indonesian Muslim women attend the Eid al-Fitr prayer at Parangkusumo Beach on July 17, 2015, in Yogyakarta, Indonesia. Eid al-Fitr marks the end of Ramadan. 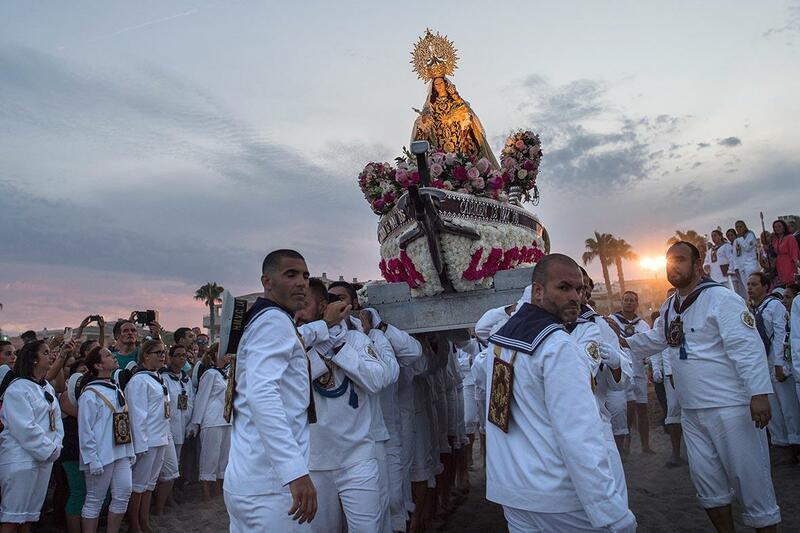 Men carry the statue of the Virgen del Carmen, patron saint of fishermen, on their way to the sea on July 16, 2015, in Torremolinos, Spain. Every year since late 19th century, a procession takes the statue to the beach and places it on a boat, which makes a short journey along the coast to bless the waters where the fishermen work.